Former New York Times executive editor Jill Abramson defended Hillary Clinton as a "fundamentally honest and trustworthy" politician who is held to an unreasonable double standard, in a column for the Guardian on Monday. Abramson, who was bounced from the Times in 2014, said voters "believe Clinton is hiding something because her instinct is to withhold." "It was bad judgment, as she has said, to use a private email server," wrote Abramson. "It was colossally stupid to take those hefty speaking fees, but not corrupt. There are no instances I know of where Clinton was doing the bidding of a donor or benefactor." The Times broke the story about Clinton’s exclusive use of a private email server while at the State Department, and has reported on links between Clinton Foundation donors and State Department policies. Colin Diersing, a former student of mine who is a leader of Harvard’s Institute of Politics, thinks a gender-related double standard gets applied to Clinton. "We expect purity from women candidates," he said. When she behaves like other politicians or changes positions, "it’s seen as dishonest", he adds. CBS anchor Scott Pelley seemed to prove Diersing’s point when he asked Clinton: "Have you always told the truth?" She gave an honest response, "I’ve always tried to, always. Always." Pelley said she was leaving "wiggle room". What politician wouldn’t? 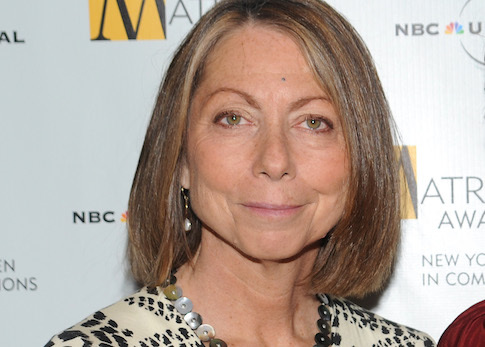 Abramson was the first female executive editor at the Times, and her high-profile firing in 2014 prompted allegations of sexism at the paper. The Times reported on Monday that Abramson has joined the Guardian as a regular political columnist.